Dr. Suiza C. Chua, MD, FACOG, received her medical degree from the University of Southern California School of Medicine in Los Angeles and completed her residency training at Emory University in Atlanta. She has over 20 years of experience and practices obstetrics and gynecology at Suburban Women’s Specialists, located in Johns Creek, Georgia. Dr. Chua provides a wide variety of OB/GYN services to women of all ages — including preventive medicine, gynecological surgeries, cancer screening, and much more. She offers advanced, up-to-date procedures like the Symphion™ System for uterine tissue removal, NovaSure® for endometrial ablation, and the MonaLisa Touch® laser for vaginal rejuvenation. 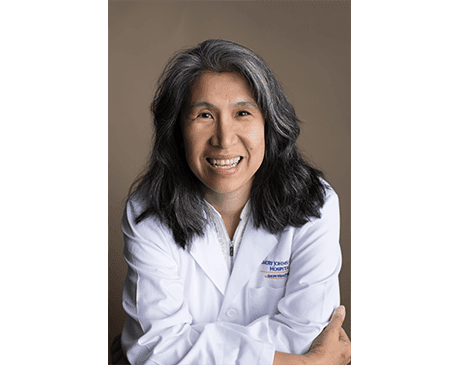 Because she treats patients with compassionate care, Dr. Chua received Vital.com’s Compassionate Doctor certification and the Patients’ Choice and Top 10 Doctor awards. She gives each patient the personalized, quality care they deserve. Dr. Chua is board certified by the American Board of Obstetrics and Gynecology and is a member of the Georgia Obstetrical and Gynecological Society and the Emory-Grady Society of Obstetricians and Gynecologists. She is also a Fellow of the American College of Obstetricians and Gynecologists. Dr. Chua is currently accepting new patients. Suburban Women's Specialists are contracted with most major insurance companies, PPO, POS, HMO, and others. Please call your company to understand the limits and the participation requirements prior to your visit. If you have questions, please call our office. We will be happy to help you.